REPORT: Federal Agents That Raided Paul Manafort's Home Sought Violations Of Banking Secrecy Act - Joe.My.God. 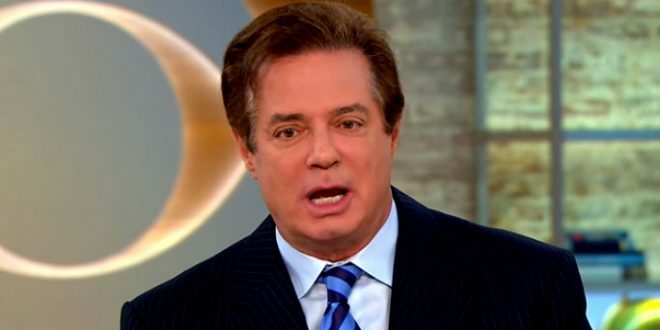 Investigators for the special counsel, Robert S. Mueller III, recently searched the Northern Virginia home of President Trump’s former campaign manager, Paul Manafort, for tax documents and foreign banking records, a sign that the inquiry into Mr. Manafort has broadened, according to a person briefed on the matter. But the search warrant — which requires the approval of a federal judge — for the tax and foreign banking records suggests that investigators are looking at criminal charges related to the federal Bank Secrecy Act, which requires Americans to report their foreign banking accounts.